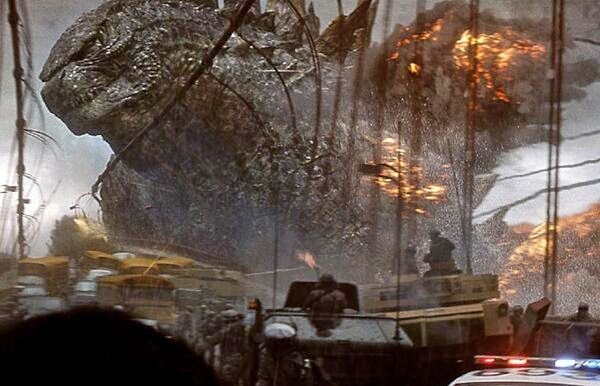 First of all, I’ve got to say that, in the new Godzilla movie, many of my favorite vacation spots are destroyed. 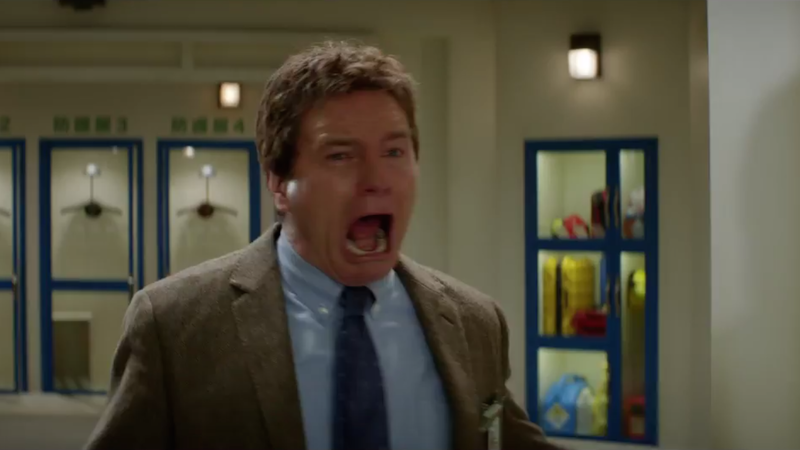 Nonetheless, the new “Godzilla” film is a lot of fun. It’s a reboot of the classic series, launched in 1954 by Japan’s Toho Studios, featuring the King of the Monsters, that daikaiju with a difference, the radioactive, prehistoric, nuclear-powered menace/savior of the title. The nearly three dozen titles that followed have ranged from thrillingly ridiculous to cutesy-ridiculous to boringly ridiculous, but something about the big green guy appeals to audiences down the decades. The Godzilla oeuvre (‘scuse me) satisfies something in our collective reptile brains. My first kindergarten drawings, lovingly preserved, are a sequential rendering of the original monster’s Tokyo rampage. What raging 5-year-old doesn’t want to level a city? It’s a winning blend of cautionary fable (Godzilla can be seen as the first really effective nuclear-arms protester), tearjerker (rest assured, families are torn apart, children are threatened, and even the trope of the annoyingly cute Japanese boy in a baseball cap is crowbarred into the new film), disaster film, and all-star wrestling match. Director Edwards and screenwriter Borenstein have obvious soaked up all the past resonances, and the result is something that works for first-timers and old hands as well. Rather than retail the details, let me establish that the new ‘Zilla is given a credible backstory, and the main action is set up with a sequence that does credit to our paranoia about science run amok. Married scientists Bryan Cranston and Juliette Binoche (why is Binoche rocking an American accent? Discuss) The established undercurrent of unhealed regrets and lost opportunities gives this version a solid, dark feel that is mirrored in McGarvey’s shadowy cinematography and Owen Paterson’s dense, dusty production design. 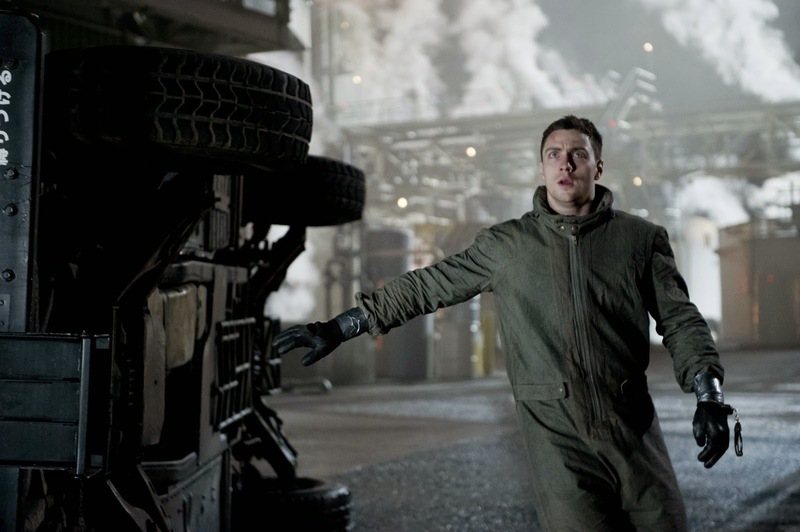 Fortunately, Aaron Taylor-Johnson, like all the cast of the new "Godzilla," is a past master of the eye-line matching, gape-mouthed stare up into the Effect to be Added in Post. The scientists’ child, providentially, grows up to be Aaron Taylor-Johnson, a studly Navy lieutenant who can defuse atomic bombs and skydive from 30,000 feet, and happens to be married to Elizabeth Olson. Nice. He’s our surrogate as he’s tossed from Japan across the Pacific to San Francisco, following the radiation-seeking trail of some M.U.T.O.s – massive unknown terrestrial organisms – crazy, evil-looking bat/spider/mantis critters that are solidly in the Toho tradition, complete with EMP-producing tap-dancing power. Taylor-Johnson is abetted by the always-awesome Ken Watanbe, who plays the Tragic Scientist with a Conscience; Sally Hawkins, pretty much wasted as his Sidekick Scientist Who Helps Explain Stuff; and the massively talented David Strathairn, who never blinks as the Admiral Who Must Make Decisions that Will Impact Millions of Lives. Of course, our foolish armed forces think that nuclear weapons are the answer, not realizing that M.U.T.O.s just LOVE them, wolfing them down like misplaced bikers gobbling canapés at a fancy gallery opening. It’s up to Godzilla to, as Ken tells us, “restore nature’s balance.” Let the battle begin! 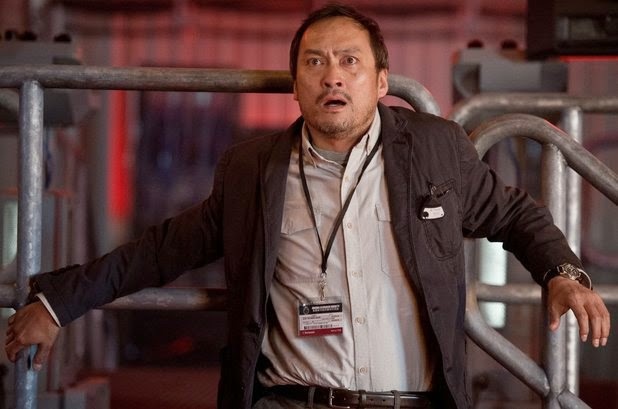 Ken Watanbe as Dr. Serizawa -- well, we got trouble, right here in River City! There’s nothing worse than bad CGI, but it’s artfully imposed here. Enormous pans and crane shots emphasize scale and enhance the gleeful destruction of all we hold dear, including Mission Bay, South Beach, parts of Portoia . . . you can pretty much forget taking the Embarcadero. Ever again. Style-wise, the film owes much to the “Alien” sensibilities of the late R.H. Giger. This is the only other movie I can think of in which an atomic explosion is used as a decorative background effect, “True Lies” being the other. So go, if you are a monster junkie like me.